April was for art. Unfortunately, Vegas had my mind pre-occupied and I never completed my purchase to see Toni Morrison, which was supposed to close the month. It was in the cart and everything. Then I got distracted. Then I forgot. Then I remembered two days later. And when I returned it was sold out. So I began my month with my favorite living poet—Nikki Giovanni. I pretty much stalk Nikki so I was excited to see that she was speaking on a panel following the premiere of Being Billie, a documentary on Billie Holiday in celebration of her 100th birthday. The film aimed to move beyond the portrayal of Billie as simply a tragic drug addict. I love my Billie, so my t-shirt emblazoned with her face and I were ready. I will admit two things. First, the event should have been in a bigger space more conducive to movies (too much light). Second, the film had excellent interviews but was really repetitive and could have used a keener editorial eye. 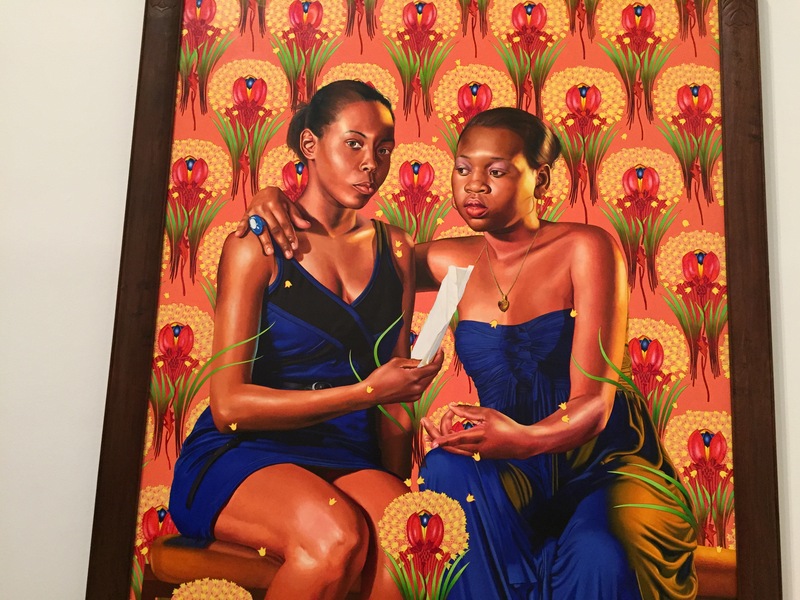 So I have three favorite contemporary artists: Kehinde Wiley, Kara Walker and Mickelene Thomas. This month I saw two for three. 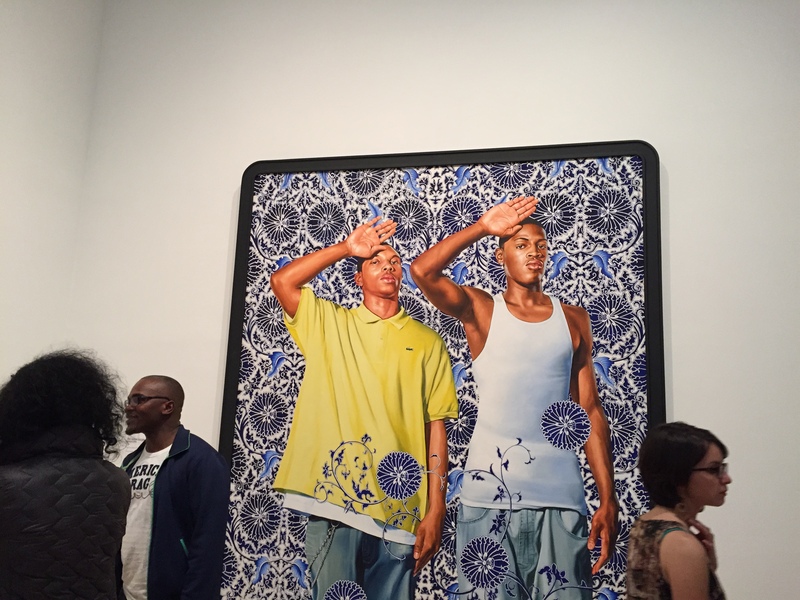 We travelled up to New York to see the Kehinde Wiley and Jean-Michel Basquiat exhibits at the Brooklyn Museum. Sadly, an aversion to public transportation meant that we drove from Manhattan to Brooklyn and cabbed from the Brooklyn hotel to the museum. This took forever. This only gave us one hour to rush through both exhibits. I could philosophize on Wiley’s use of color but I am no art critic. I just like what I like. I love vivid colors and faces, so Wiley speaks to me. Basquiat was a hurried experience that just reminded me that I am not a huge Basquiat fan. 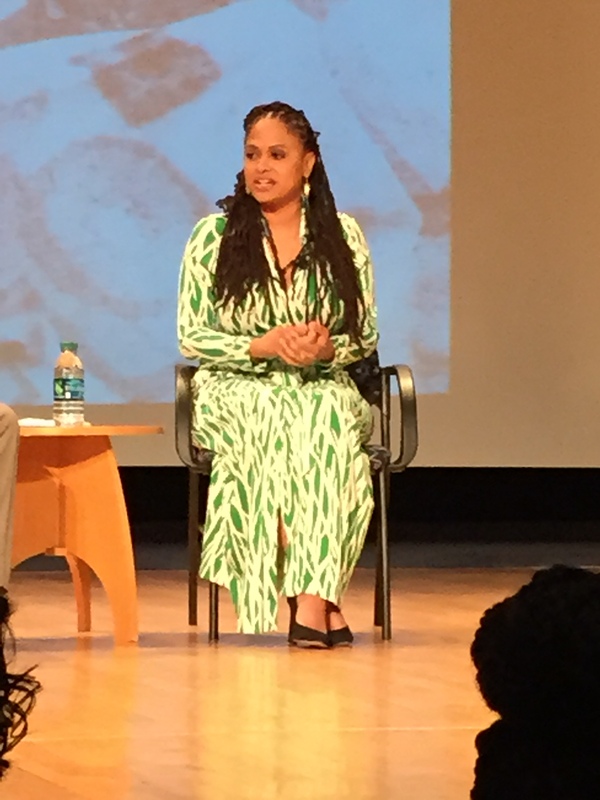 Later in the month, social media hipped me to the fact that Ava DuVernay would be at the Museum of the American Indian for a symposium called History, Rebellion and Reconciliation: Communities Mobilized for Social Change. 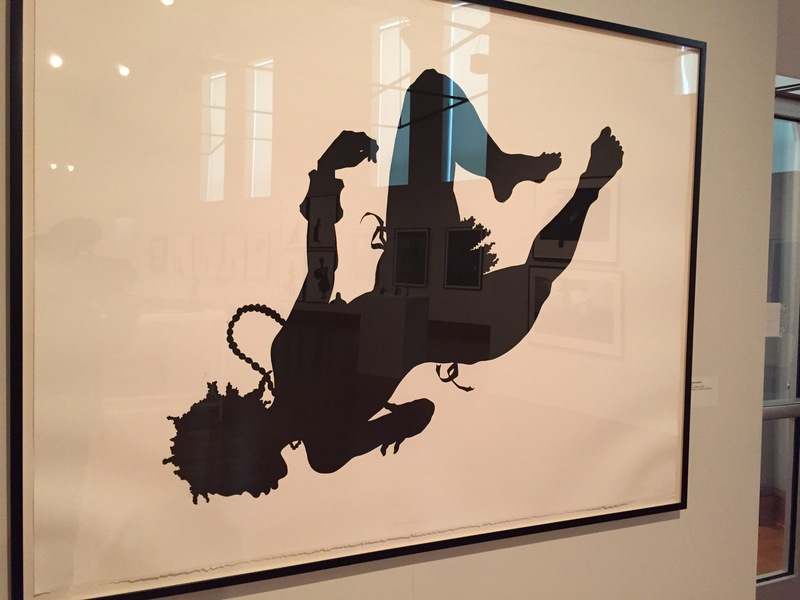 But before that, I darted off to University of Maryland because I discovered that the David Driskell center was having a showing of Kara Walker. 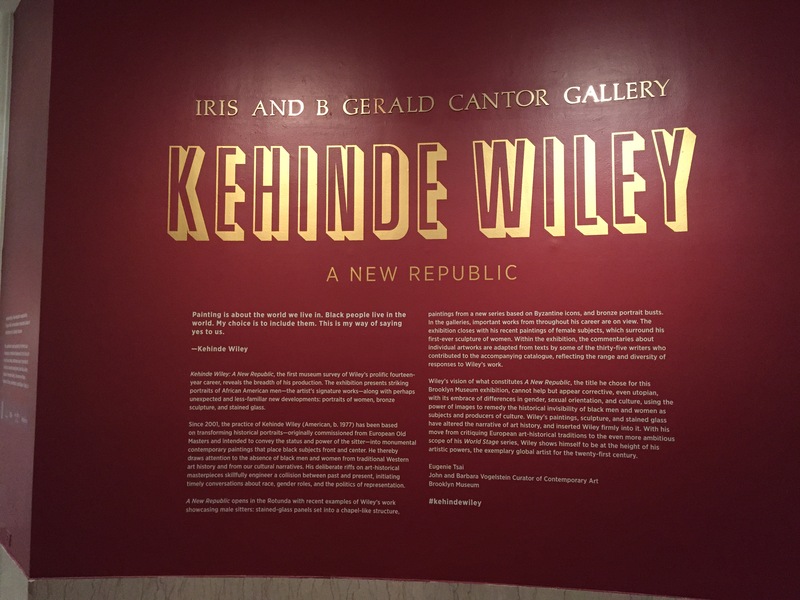 I adored her use of stencils and cutouts to tell and retell stories of African-American life and folklore. Sadly, most of her work was encased in glass so my photographs didn’t come out well. After rushing from College Park to The Mall and parking illegally, I made it in just in time to see Ava. I love Ava and she is gorgeous, gracious and intelligence in person, which is a huge perk. 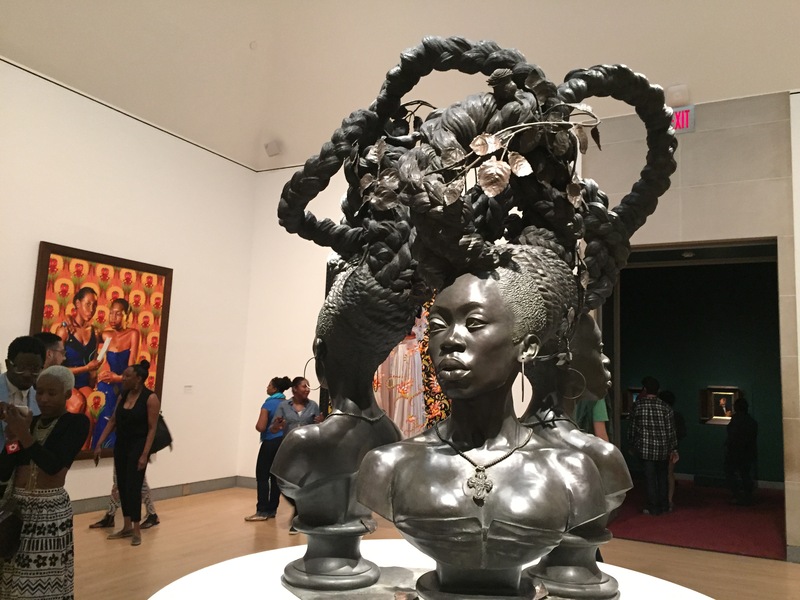 I have seen most of her limited work and she enlightened the audience on her creative process and what it means to be an artist in the 21th century. Amazingly she stayed and answered every question even the combative or rambling ones. As mentioned, I forgot my Toni Morrison tickets. So Ava was the end of my artistic adventures. And I lost my newly purchased book of Wiley’s exhibit in some restaurant with delicious duck drumsticks.